In part 1 of 2 from an interview we ran with Sue Wright from the Institute of Export & International Trade’s Shipping Office, we discuss the main things first-time exporters need to know about working with a freight forwarder. 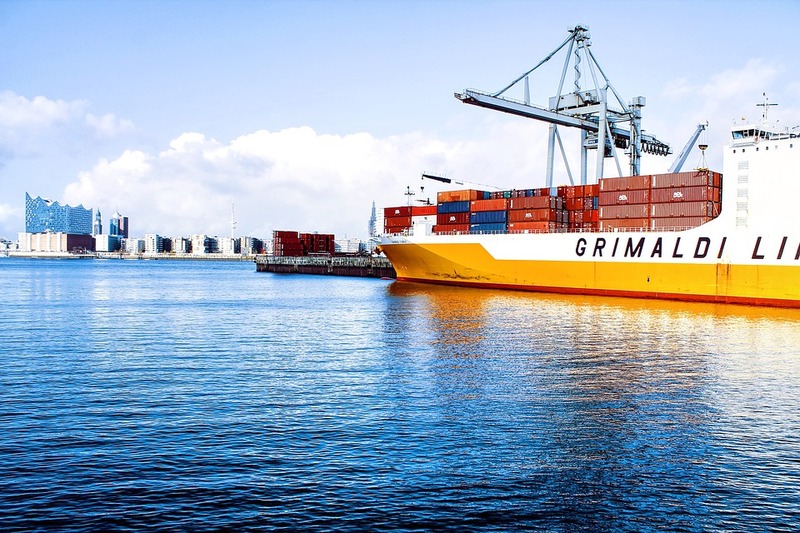 When do you need to use a freight forwarder? Freight forwarders liaise with shipping lines/airlines and HMRC in order to be able to help you the exporter move your goods outside of the UK and in some cases out of Europe. What does an exporter need to do when using one? An exporter needs to be able to give instructions to the freight forwarder telling them what it is exactly that they want them to do. Incoterms play a big part in clearly defining, cost, risk and responsibility of all parties that are involved in movement of freight. These should be stated clearly on invoices as well as quotations showing the point where the costs and risks pass from Buyer to Seller so that costs are clearly understood. Insurance for goods also needs to be clarified. Freight forwarders are contracted to move freight by the buyer or the seller. The Incoterm clarifies where the charges are passed to. The freight forwarder requires instructions regarding the mode of transport from whoever contracts for carriage. Whether shipment is by road, air or sea, a freight forwarder will require instructions of what is required from them. For example, how the customs entry should be made. Exporters also require evidence of movement back from a freight forwarder in line with HMRC requirements. Any shipment that doesn’t carry VAT, whether EU or Rest of World, requires this evidence. Without this the exporter is liable for the VAT. HMRC notices 725 and 703 refer. A freight forwarder should be able to provide you with that. Whether it’s Ex Works or not makes no difference. What makes a good / reliable freight forwarder? Turnover of staff is an important indicator. If a freight forwarder has a high turnover of staff that’s a worry because the expertise and the knowledge won’t be there. What are the training needs and requirements for individuals within a freight forwarding organisation? Are they investing in educating their staff in the skills needed to serve your business? A lot of freight forwarders don’t do enough of that and I actually advise exporters to look for ones that do this. A lot of exporters rely on freight forwarders to give them information so having a consistent staff with that information is key. Always ask if the freight forwarder can deliver the service you want to the destination you are going to. Letters of Credit are a bank guarantee and freight forwarders that do not understand this are going to make the exporter’s life hard work. There is a very specific wording that will be required under a Letter of Credit and they need to be aware of that. All of this is part of having an education and the mark of a forward thinking and practical freight forwarder. Can they be flexible enough to listen to what is required by the exporter and the buyer? Where can exporters find out about what freight forwarders are out there? Exporters can contact the freight forwarding association and there is of course Google. It’s usually word of mouth or salesmen ringing in. Exporters can also find freight forwarders by being asked to work with specific ones under FCA/EXW type shipments – which are where the buyer nominates the freight forwarder. Exporters may stumble upon someone good in that situation. One thing with FCA/ Ex Works shipments where the customer controls the shipping is that it means that the contract of carriage is with the customer and the freight forwarder rather than the exporter in the country of shipment, and that could cause a lot of problems. How much should using a freight forwarder cost? It’s difficult to say because it’s based on the freight. You don’t just pay for a freight forwarder, it depends on what service they’re providing for you, and they will come to you with a freight charge and it’s difficult to say what that should be. How does the IOE shipping office help exporters looking to work with freight forwarders? As a shipping office we would interface with the freight forwarder on behalf of the exporter to make sure that they were customs compliant at all levels. With the freight forwarder and the exporter we would make sure the paperwork is right, making sure they’ve got the right documentation for any particular country. If they wanted very specific documentation to send goods to, say, Brazil, we’d make sure that that documentation was issued to the freight forwarder on time, to make sure the shipment went out on time. We’d then get the vessel or flight details back and make sure that our client, because we’d be acting as an intermediary, has that information in full so they can pass that it onto their customer so that their customer in Brazil would know exactly what was coming and when. You can now read the second part of the interview discussing how to get export documentation right. Previous Post Creative meets Tech – 2017 feature Next Post How do you ensure you send the right export documentation to a freight forwarder?